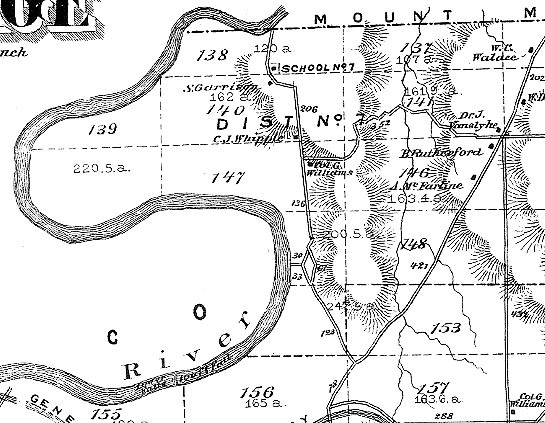 The image below was taken from the Town of Portage Map found in the 1872 Livingston County Atlas. It shows the area surrounding the Big Bend Area. The Lower Falls is in the River at the lower left. Click here to see more of the Portage area.